Futurism fans: To create this content, a non-editorial team worked with Viome, who is offering Futurism readers $20 off with code FUTURISM. They help us keep the lights on, and Futurism may receive a commission from sales. This post does not reflect the views or the endorsement of the Futurism.com editorial staff. You may by now be familiar with the microbiome in your body. The microbiome is the bacteria, viruses, yeast and other organisms in your gut, and elsewhere, that affect your overall health and your mind. 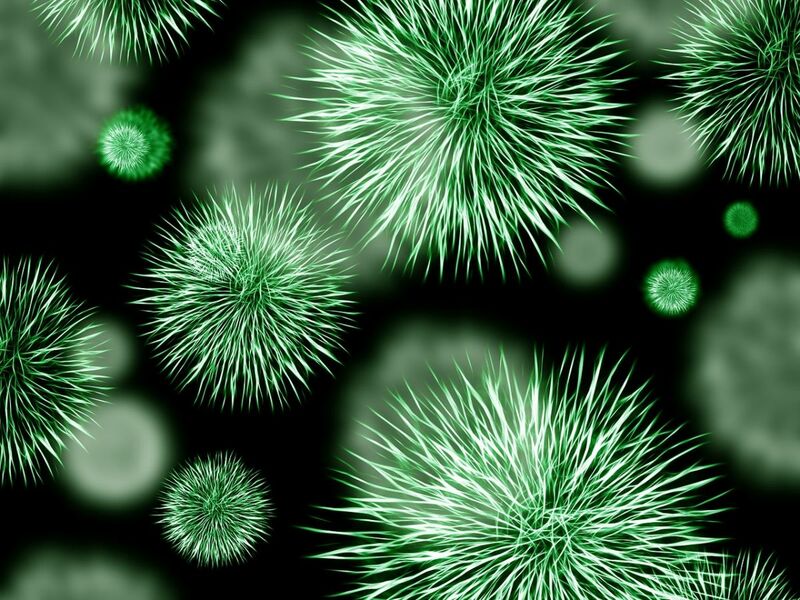 What you may not realize, and many don’t, is the world is facing a microbiome crisis. As Nils Gilman and Tobias Mees of the Berggruen Institute wrote recently for the Washington Post, many aspects of how we live our lives are threatening our microbiomes in substantial ways. The processed foods we eat, the number of Caesarean sections being done, the antibiotics we feed ourselves and our livestock and our sterile environments appear to be some of the driving forces behind this crisis. Gilman explained that everything from obesity to cancer may be linked to the overuse of antibiotics, but he said that doesn’t mean they’re inherently bad. Antibiotics are great when you need them, but often times they’re prescribed when they’re not necessarily needed. The CDC claims around 30 percent of antibiotic prescriptions are not needed. Besides what we take personally, farm animals also often receive far too many antibiotics, and they end up in the meat we buy and eat. 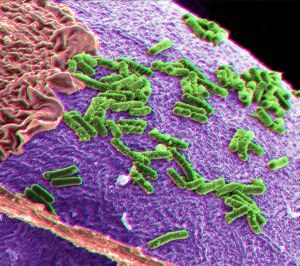 One way in which we get our microbiomes is through birth. Not just our genes, the act of being birthed itself. C-sections have been on the rise for some time, and this looks as if it’s causing a problem for the human microbiome. If we don’t get that bacteria at birth, it can cause problems later in life. Again, Gilman acknowledges that C-sections can save lives, but it seems they should be avoided when they’re not absolutely necessary. One solution doctors are trying is literally swiping babies with the vaginal bacteria they would encounter during birth after a C-section is performed. This is seen as a way to get the baby a better microbiome than if they hadn’t done it. That said, some doctors have warned against this practice, as it could expose the baby to dangerous bacteria. Kids not being exposed to their environments enough is also a problem when it comes to the microbiome. If children are kept inside and don’t play in areas that have lots of bacteria they can be exposed to, that’s actually harmful for their microbiome, which needs that kind of exposure. Perhaps the most predictable reason there’s a microbiome crisis is the simple fact we’re not eating well. We’re eating too many processed foods that lack the kind of bacteria our gut thrives on, and we’re not eating the kinds of food that are high in that kind of bacteria. So here we are. But what can we do about it? We can start by eating better. It’s important to understand that there is no such thing as universally healthy food. A food that’s healthy for one person can be inflammatory for another person. Even a food that’s healthy for you today may become harmful few months later. In the era of new fad diets coming out almost daily, eating right can be very confusing. As we know, what you eat can affect the gut significantly, so learning what foods you should eat is critical for your good health. In order to do that, you need to know where you stand. One way of doing that is to get your gut tested. As we’ve reported before, a company named Viome is selling quite possibly the best gut analysis kit ever created, and they recommend precisely what foods are good for you right now and what foods you need to minimize and avoid. Instead of analyzing the DNA in your gut, which is often from organism that are not active in it, they analyze the RNA, which shows ever organism that’s truly active in your system, and more importantly what they are actually doing. Are they converting certain foods in to nutrients that your body needs or converting the so-called “healthy” food into toxins that are causing inflammation? When you know better, you do better. Have a healthy microbiome helps you have a healthier life. A company like Viome can help you make that first step. Once you have that information, you can make the changes you need to make to remove yourself from this growing gut crisis. If you don’t know what damage you’ve done, you’re not really going to know where to go next.